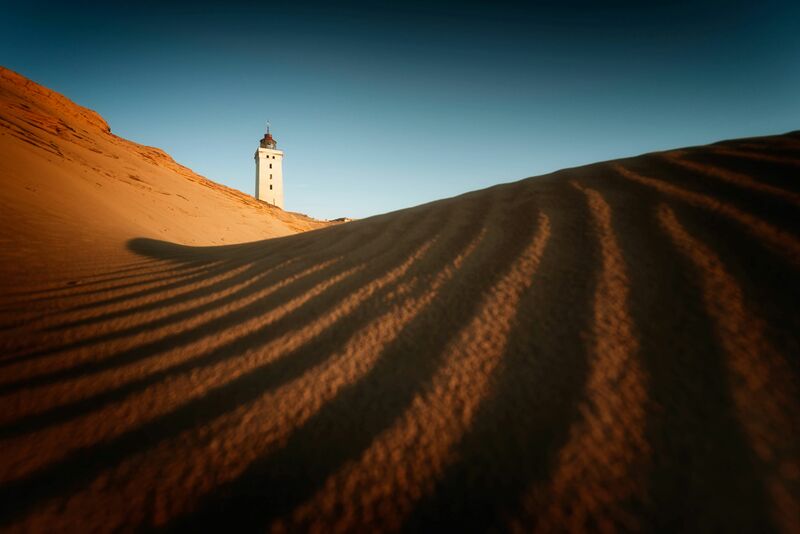 When I visited the lighthouse at Rudbjerg Knude in Jutland, I wanted to photograph it from a different angle then what you normally see – I also made some of those – and I found this spot where I could get this rather huge sand dune in the foreground, by laying flat on the ground, to make the lighthouse look like a miniature. I think it worked out pretty good, and with the setting sun coming in from the left, making these awesome shadows in the sand just added up to the awesomeness. I could have wished for a few clouds in the sky above the lighthouse, but I guess you can’t have everything. A different perspective by Bo47 is licensed under a Creative Commons Attribution-NonCommercial-NoDerivatives 4.0 International License.